The Amazon series Homecoming: Season 1 has so far received positive reviews that focus on the show's exploration of corporate power and government bureaucracy, a "chilling portrait of corporate American greed" as Matthew Jacobs writes in Huffington Post. However, what's not getting the attention it needs is how the more obvious systems of corrupt corporate, military, and government power are fueled in the show by the less obvious system of white supremacy. 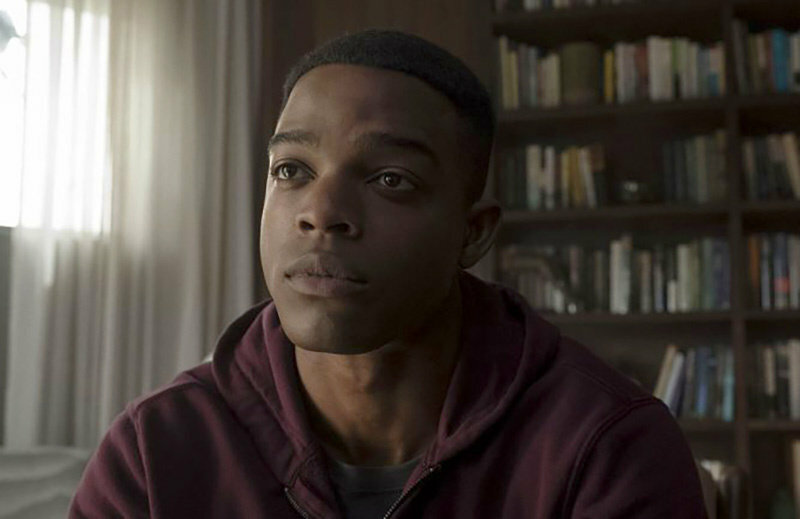 While Homecoming is not explicitly about race (I don't believe the words "race" or "racism" are ever spoken), the show implicitly engages with race in complex ways that should be explored. 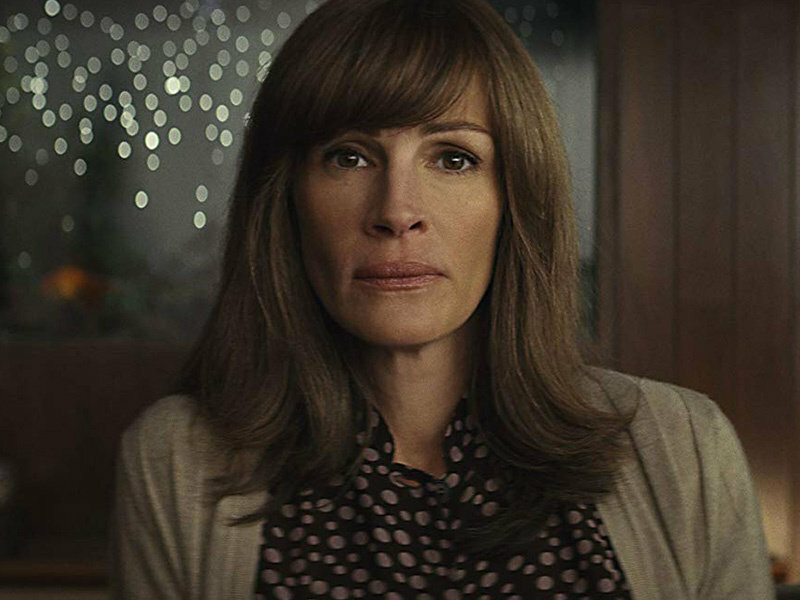 Specifically, the character of Heidi Bergman, played by Julia Roberts, reveals a toxicity about white female identity that we don't often see so clearly illustrated on TV. 1. Heidi wants to "help". Heidi would consider herself a well-meaning person who wants to help. It's not a coincidence that Heidi is a social worker, a field dominated by white women, not unlike the teaching profession. For a time, Heidi was the counselor for the Homecoming Transitional Support Center near Tampa, Florida that ostensibly supports soldiers returning from war as they transition to civilian life. When she interviews for the position, she tells her future boss, Colin, "I am certainly eager... You're looking for someone who won't hold back, who is willing to build their life around this work? That is me. That is what I want. I am ready to just put my whole heart into this and give it everything I've got from beginning to end. Absolutely" ("Help"). If Heidi's desire to present herself as someone who wants to help isn't made clear enough, one episode is even called "Helping". It might seem that helping is a good thing, and of course it can be, but we need to consider the power dynamic. Is there a fair exchange? Is there give and take? Or does the desire to help, as in the case of Heidi, pave the way for an imbalance in power, for injustice to be perpetuated? 2. Heidi is complicit in oppression. At the same time that she wants to "help", Heidi is clearly complicit in an oppressive system. She begins her job as a counselor at the Homecoming Transitional Support Center knowing full well that they will be giving an experimental drug to the soldiers without their knowledge and that the purpose of this drug is to affect their memory. 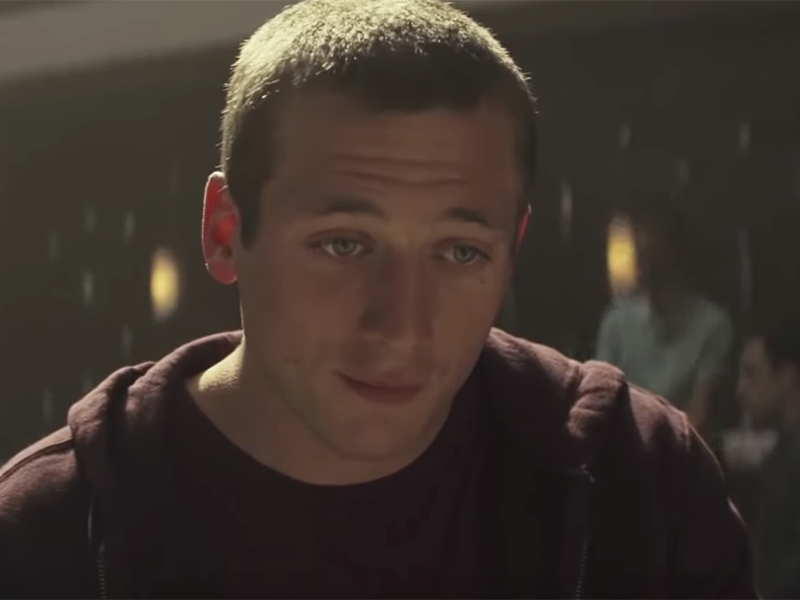 For example, when the Center opens, Colin calls Heidi from a laboratory that will be manufacturing the drug, and it's clear that Heidi knows about the drug. Heidi refers to it in their phone conversation, but Colin tells her not to mention it any more in the Center, now that the soldiers have arrived, that she needs to be more "discreet" ("Mandatory"). In another phone call, when Colin asks Heidi to describe their mission, she says, "We are treating PTSD like a cancer, something to be eradicated, not just managed... And to those ends, we are using medication to delete the harmful responses to the traumatic memories" ("Helping"). Colin asks her if she's "on board with that", and she replies, "Yes, of course" ("Helping"). Heidi fully understands that she will be complicit in a system that not only lies to soldiers but also experiments on them to alter their memories, without their consent and in so doing, potentially cause serious harm. While there's a group of soldiers at this facility from various racial backgrounds, the only soldier depicted in Heidi's counseling sessions is Walter Cruz, who is African American. Heidi's sessions with Walter emerge as a central focus of the show, and then his mother also plays a critical role. If the show had depicted sessions with several soldiers from various racial backgrounds, along with parents of other soldiers, it might be harder to say how the show engages with race, but since Heidi's interactions with Walter are so central, we need to consider the racial dynamics of that relationship. Indeed, within that relationship, the characteristics of toxic white womanhood become visible. Heidi is knowingly complicit in deceiving Walter. A white man named Shrier, whom Walter served with and who is also at the facility, is very suspicious of the whole situation he and the other soldiers are in, and questions why they are there, why they can't leave, and what the purpose is of the facility. He's concerned that Heidi has convinced Walter that the facility benefits the soldiers. Shrier later tells Thomas Carrasco, a Compliance Officer with the Department of Defense who is investigating Homecoming, that he was concerned about Heidi because Walter "believed her", and he says, "I warned him about her" ("Helping"). The story goes back and forth between two different time periods, the time when Heidi worked at Homecoming in 2018 and then a time in the near future, in 2022, when Carrasco investigates Homecoming. At this point, Heidi is a waitress at a diner in Florida. When we see Carrasco question her about Homecoming, she says she doesn't remember much. When he asks about Walter Cruz, she says she doesn't know that name. If we had not already watched her first counseling session with Walter in 2018, then we probably wouldn't be suspicious of her denial that she knows Walter, but we know she knows Walter, and even though she seems genuine in her claim not to know him, we question her from the beginning because we see her complicity in the system of Homecoming from the beginning. Indeed, one strategy she uses to convince Walter, in 2018, that she wants to help him and that the facility is there to support him, is when she makes it seem like she doesn't have much control at the Center. For example, at their first session, Heidi tells Walter that she is "supposed to" read him a welcome speech but she calls it "very, very boring" and "cheesy", as if someone else had given it to her to do and she's just following orders ("Mandatory"). However, she says later, "I wrote the script" ("Protocol"). That's a powerful way of revealing her complicity; she's creating the very narrative used to convince Walter to trust her. Heidi tells him that the required aspects of the program include "group meals in the cafeteria," workshops, and counseling sessions with her ("Mandatory"). What she doesn't tell him is that the "group meals in the cafeteria" are required because that food is how they dispense the experimental drug intended to erase the soldiers' traumatic military memories. She also tells Walter she needs him to verbalize, for the tape recorder, that his participation in the program is "voluntary and un-coerced". He readily agrees. In her complicity, Heidi fails to ask her boss, Colin, some key questions: Why is a big corporation like Geist interested in funding this center for the military if the soldiers are just going to transition to civilian life? How does it benefit Geist? Perhaps she doesn't want to know and convinces herself that the center's deception about giving the soldiers an experimental drug to change their memories is the only deception in the experiment. She refuses to take the next step and realize that if Geist can be deceptive about that, it can be deceptive about anything. What should not come as such a surprise to her is that the goal of the center is to prepare the soldiers not for civilian life but for re-deployment. Heidi believes the drug the soldiers are given will remove specific traumatic memories, but in her counseling sessions in Week 5 with Walter, she realizes that he's losing not only specific traumatic memories of his comrade getting killed but also the experience of the war more generally. She calls Colin in a panic, saying, "This isn't therapy, what we've done... We've erased things... We've changed him" ("Test"). Colin responds, "We helped him" and that Heidi "should be proud" ("Test"). Colin further says the Department of Defense will be thrilled, and "They'll be able to deploy these guys way sooner than we thought" ("Test"). Heidi expresses shock and outrage that the men would be re-deployed rather than sent home and asks when this became the plan, and Colin says "always", as if she should have known. 3. Heidi always thinks she knows what's best. Even before Heidi fully recognizes the purpose of the Center, she thinks she knows what's best for the soldiers, especially Walter. When Walter talks about having trouble sleeping, she suggests he room with Shrier, his friend from the war. After Shrier acts out, Colin wants both Shrier and Walter kicked out. Heidi agrees that Shrier can go, but she convinces Colin that Walter should remain, thereby exposing him to more of the experimental drug. Heidi uses the language she knows Colin wants to hear in order to make her point: "Cruz is going to provide us with some really powerful data... He's a perfect case study... the treatment is so effective... I feel confident, very confident... I will take full responsibility" ("Optics"). Heidi: My only intention here is to help Walter. If you could just trust me. Gloria: Trust? I shouldn't worry about what the military is doing with my son because you, Heidi Bergman, feel that your intentions are good? Heidi: It's Walter's choice to stay. It's what he wants. I think you should try and respect that. Gloria: What he wants? That hasn't mattered since the day he enlisted. Heidi: He's done with that. It's different here. Because Heidi has convinced Walter to stay, there isn't much that Gloria can do, and she leaves. Heidi later tells Colin on the phone, "I managed the situation and everything is fine" ("Toys"). Twice now, Heidi has manipulated a situation so that Walter would stay in the facility, knowing that means he will be exposed to more of the experimental drug. After first convincing Colin that Walter should stay and then later convincing Walter to stay when his mother comes, in Week 6, Heidi learns that Walter is going to be re-deployed and that he has not only forgotten the circumstances surrounding his comrade's death but now doesn't even know that his friend is dead. Walter tells Heidi that he wants to re-deploy, and she again thinks she knows what's best for him, and now that's for him to go home. She asks him to go with her to the cafeteria for lunch, which he has already eaten, and to eat again, which will expose him to a second daily dose of the Week 6 dosage, the highest level. She knows he will be so physically affected by this extra dose that he won't be able to deploy and the facility will have no choice but to ask his mother to take him home, the very thing that Heidi prevented from happening earlier. Then, as if she had not caused enough damage, after everything that happened, four years later, she still thinks she knows best when she visits Gloria and then drives out to California to look for Walter. Her confidence in knowing what is best is actually a form of racial arrogance that becomes clear over the course of this series. It's a powerful trait of toxic white womanhood because it reinforces her role as dominant, as the one who knows, as the one who should be in control, and it prevents her from being open to any alternatives. 4. Heidi wants to deny her complicity. Finally, when Heidi can no longer handle her complicity in the experiment and refuses to take responsibility for her actions, she wants to forget her responsibility. Thinking she still knows best, she not only over-medicates Walter, but she also eats with him, ingesting the highest dose of the memory-erasing drug so that she, too, will forget about her entire experience at Homecoming. I can't imagine a better representation of Robin DiAngelo's concept of "white fragility" than this extreme response so that she can erase the existence of her complicity entirely. She loses her entire memory of working at Homecoming, until it's triggered four years later when Thomas investigates. Writers and scholars explain the power of denial when it comes to racism in America, from Ibram X. Kendi's 2018 op-ed "The Heartbeat of Racism Is Denial" to Toni Morrison's interview in Time magazine when she says that we have "national amnesia" about slavery (22 May 1989). Heidi choosing to take the drug to erase her memories is an extreme representation of this denial, which reveals her toxic white womanhood even further. While Homecoming does not explicitly refer to politics, it's hard not to make some connections. When Heidi decides to erase her own memories of Homecoming, it's hard not to think about the way white women who did not vote for Trump responded to finding out that 53% of white women who voted, did vote for him ("The 53 Percent Issue", The Undefeated, Lonnae O'Neal). Many white women just couldn't believe that so many white women voted for Trump; their disbelief reflected the ongoing pattern of denial about racism long-established in this country. Heidi, in 2022, begins to question herself before her memories click back into place. She tells Colin, whom she at this time doesn't remember, and thinks she just met, "I'm a liar too... everyday I go to work, I pretend to be this person, this waitress. I serve people, and I smile and then I go home, and it's the same thing. I pretend to be a good daughter, and sometimes I convince myself this is me, this is real... and it's like I just appeared out of nowhere and I can just see my whole life and it's phony and fake. And every word that I say, every second. I don't know but if that is a lie where is the other one... the real one... me, the one I won't let myself see" ("Toys"). Later, she tells him, "I'm tired of it... of lying... I think I did something, something wrong and I don't know what it is" ("Toys"). Her language here and her attitude reveals the psychology of white fragility, the psychology of whiteness itself. 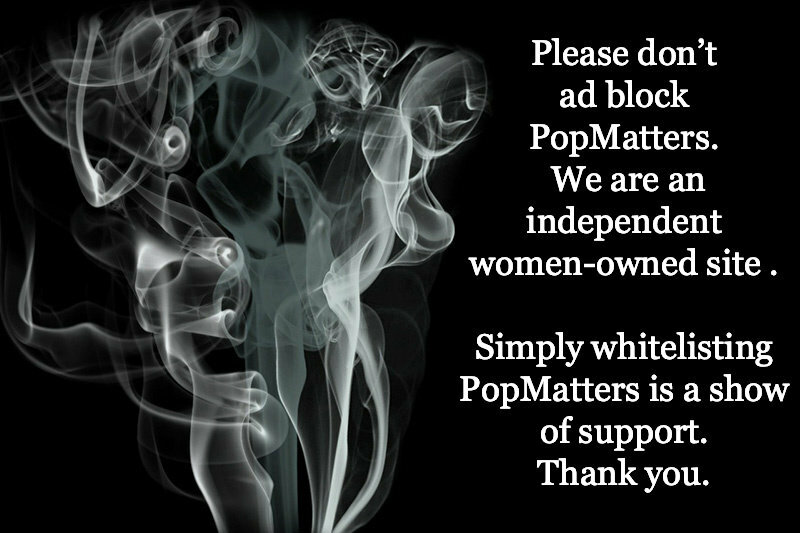 Whiteness is, after all, an invention. It's something that was created for the purposes of power and control. (Nell Irvin Painter explains this in The History of White People (W.W. Norton, 2010). as does Theodore W. Allen in The Invention of the White Race, (Verso, 2012). Once whiteness was created, it needed to be protected in order to preserve the emerging system of white supremacy, and while white men were of course complicit in that, so were white women. However, we rarely talk about whiteness being an invention, and that is part of the persistent denial Kendi and Morrison describe and the denial that Homecoming reveals. The use of a shifting aspect ratio in Homecoming illustrates this denial in a thought provoking way. As we watch the show, we realize that when Heidi is in 2018 at Homecoming, we see a full aspect ratio as we normally would for most contemporary television. However, when we're in 2022, during the time when Heidi can't remember Homecoming, the aspect ratio shrinks considerably, so the image is in the shape of a box and more confined. This much narrower view that we get of the image on the screen is consistent with Heidi's own narrow view of her past, where she is in complete denial about Homecoming because she can't remember it at all. Then, in 2022, her memory clicks back into place, she remembers what happened, and our view expands to full screen. It's a clever way to show what happens when we deny history, when our view is constricted, and therefore how important it is that our viewpoint be expanded. That expansion includes the need to acknowledge our complete history and to confront the centuries-old system of white supremacy that we fail to see clearly.